Thank God for the freedom to believe and to worship that we enjoy in Ireland today, said Archbishop Eamon Martin of Armagh at the annual festival of St Oliver Plunkett in Drogheda on Sunday. This year the festival was centred on the Holy Family Church in Ballsgrove, which is not only south of the river that flows through the town, but is also in the Meath diocese, while the martyr’s relics are housed in St Peter’s Church in the town centre, which is in the Diocese of Armagh. As a result, there was a symbolic ‘Hands-across-the-Boyne’ element to the procession as it brought the two dioceses together. The annual celebration is organised by the Knights of St Columbanus and, as a result, the event always draws a large contingent of knights from across the country, with their regalia adding to the colour of the event. Following the procession, Mass was celebrated in St Peter’s Church, where thousands of pilgrims are drawn to pray at the mortal remains of the saint who was cruelly martyred on Tyburn Hill in London in 1681 after being found guilty of ‘promoting the Roman faith’ as the Catholic Archbishop of Armagh. Oliver Plunkett was beatified by Pope Benedict XV in 1920 and was canonised by Pope Paul VI in 1975. This Saturday marked the 336th anniversary of his execution, and it also marked a personal anniversary for his successor Archbishop Eamon Martin. “Two years ago this weekend I returned from Rome having received the pallium from Pope Francis to mark my appointment as Archbishop of Armagh,” he told the congregation in St Peter’s. “The pallium is a simple white woollen stole that is a symbol of the pastoral care which we, as bishops, are called to give in imitation of Christ, the Good Shepherd, who laid down His life for His sheep. “I couldn’t help noticing in my room at the Irish College in Rome during those days, a rather striking painting of my predecessor St Oliver Plunkett, kneeling at the gallows just before his martyrdom. His pallium lies discarded on the ground where his executioners have flung it; in its place his head and shoulders are draped with the hangman’s noose. “The stories of St Oliver Plunkett, and many other heroic people of faith in the Penal times, remind us of the courage and sacrifices of our ancestors. I thank God for the freedom to believe and worship that we enjoy in Ireland today, and I pray that freedom shall never again be undermined or taken for granted in this country. “I say that strongly today, being conscious that the persecution of Christians remains widespread and often unreported in many parts of the world. Just over a month ago, 28 Coptic Christians were killed in Egypt, and this followed from the deaths of 45 others who were murdered at worship on Palm Sunday last. “It is shocking to think that, in 2017, thousands of Christians are still being displaced or expelled, tortured, discriminated [against] and murdered simply because they are Christian. This is happening in many countries of the world – from Iraq and Syria, to Libya and Nigeria , North Korea and Vietnam, in Pakistan, Indonesia and parts of China and India. Research reveals that [most] religious discrimination in the world today is against Christian believers, and much of this is due to the political manipulation and distortion of Islam and other faiths. To honour and commemorate St Oliver Plunkett, Archbishop Martin recommended that Catholics make themselves better informed about how their brothers and sisters in other countries are being persecuted. “I recommend for your study and reflection Persecuted and Forgotten? 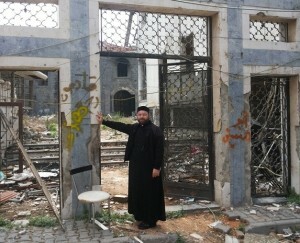 – a global analysis of the oppression of Christians compiled by the organisation Aid to the Church in Need,” he said. “Standing up for your faith, being a witness for what you believe in, is not the stuff of ancient history or another world,” said Dr Martin. “It is a living reality for Christians across the world today. Even in Ireland, Catholics and Christians are entering a time when we will need the gift of courage to stay faithful to the teachings of the Gospel. We are living in the midst of a more aggressively secular culture which insists at times on conformity and compromise with the thinking of the day, and which tends to ridicule and reject any recourse to the concept of timeless or absolute truths. “There are some who would seek to expel people of faith from public discourse and debate, or caricature our Church as being ‘unmodern’, ‘authoritarian’, ‘hypocritical’, ‘bigoted’ and ‘closed’ to progress and personal rights and autonomy. “In this context it is important that we are not afraid to witness to our Christian faith in public and to speak courageously on issues like the sacredness and dignity of all human life from the first moment of conception until the movement of natural death, or the uniqueness of love and marriage between a man and a woman that is open to the gift of children as fruit of that love, about the need for a fair distribution of the world’s goods, on the importance of respecting the environment and caring for the Earth, our common home. The ACN report of which Archbishop Martin spoke may be downloaded at http://www.acnuk.org/persecuted.